This post could be subtitled “The Extreme Value of Having a Mentor.” I have spoken frequently of my love for the work of Marianne Burr. I have mentioned occasionally that she has been a real mentor to me. After my last post, here is what happened next. Marianne Burr sent me an email offering her ideas to fix the little quilt, but only if I wanted it. Did I want her help??? 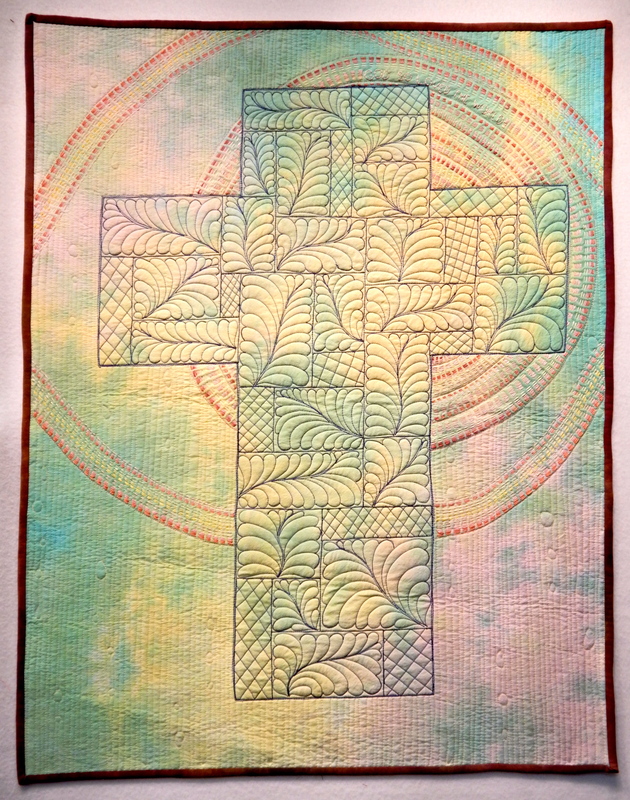 What followed were a series of emails that ended with me actually cutting off a bit from two sides of the quilt to take the cross out of the very center of the quilt. 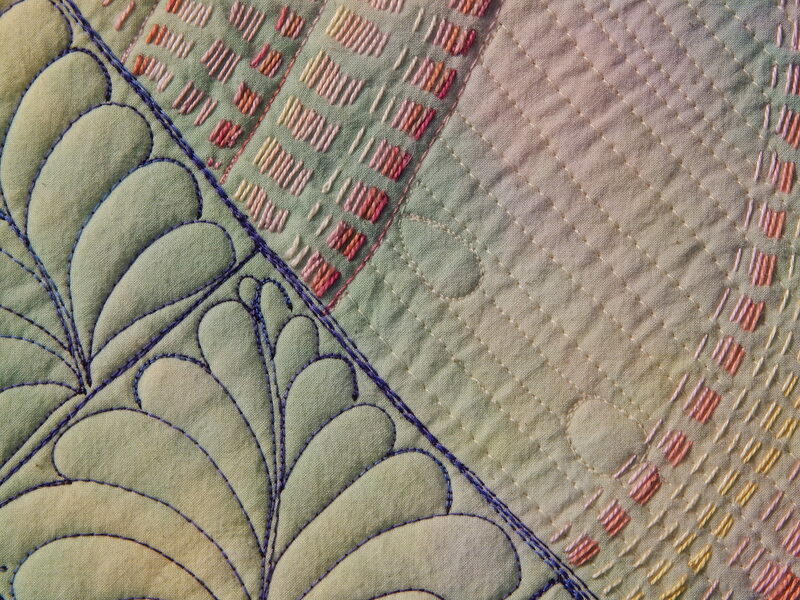 And I added a second “circle” of hand-stitching to echo the one circle. I used a contrasting fabric for the binding. There are some other ideas that Marianne (and also Loretta, in the comments) added, and I might eventually add even more to this little quilt, but with Marianne’s encouragement, I did as much as I could before the deadline, and then actually entered it in that competition. I have no illusions that it will win, but the whole process of continuing on, re-evaluating, and refining a piece of work was extremely valuable for me.